WOW!! Over $800 worth of sponsorships for raffles and door prizes!! This includes free riding lessons in every discipline, donated by our local Arabian trainers as well as Dressage trainers. Included are Nationally recognized trainers in all disciplines! 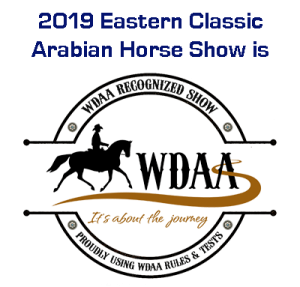 AHANY is offering a FREE stall at the 2019 Eastern Classic Horse Show, and TWO category entries in the 2019 High Score Program. Plus, there are both basket items and gift certificates from local merchants such as: Vidlers, Clyde’s Feed and Supply, Duffs, Reboys Supply, Marilla Country Store to name only a few. So, even if you didn’t participate in High Score this year, there will be many, many wonderful prizes.You will have the opportunity to win big through raffles and door prizes. We hope you’ll join us to have a nice meal, share in the fun, to connect with AHANY friends, and for a chance to win some wonderful prizes or a free riding lesson! !